I love feathers so when asked to style up this gorgeous jersey dress with feather skirt - I found it no problem! From website Your Fashion Bible it's a gorgeous piece that is great for day and night check out there website HERE! 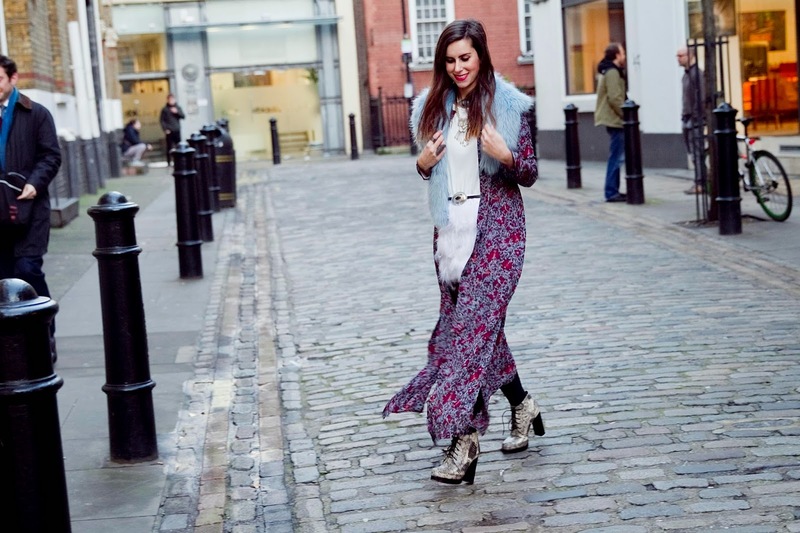 I styled it up in my usual bohemian way layering the dress with a gorgeous floral maxi kimono by Topshop Boutique. My blue fur stole always adds a touch of colour to the winter season and looks great against the white and floral. stunner!! The dress is beautiful! Love the fur on feathers look! All of your outfits are so unique and inspiring! You have quickly become one of my favorite bloggers.